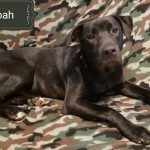 Stephanie is a young female Hound mix who is available for adoption from All About Animals Rescue in Macon, GA.
Stephanie is a 6 month old female hound mix. 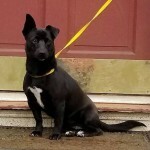 She is crate trained, house trained, knows sit command, takes treats gently, is a shy and quiet girl. She loves being with her person or her dog friends. Stephanie has been going through a transformation. 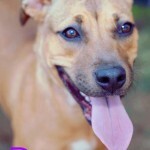 She was owner surrendered to a high kill shelter with hair issues. She has since been treated and looks like a brand new pup! 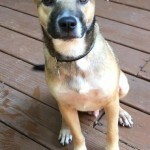 To complete this sweet girls new start at life she needs someone to adopt her and shower her with love. 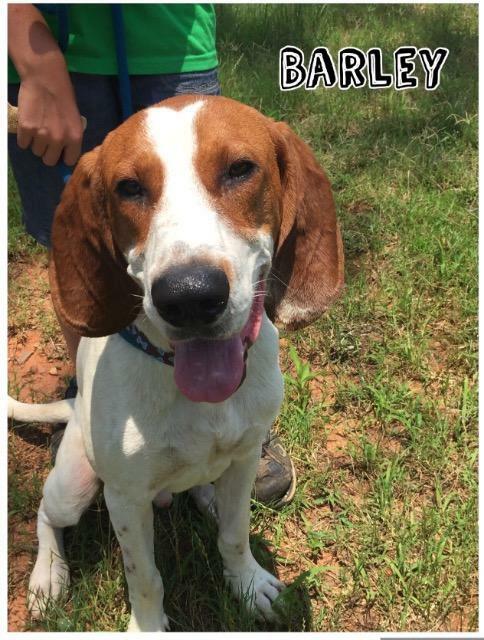 Barley (or Barkley) is a young male Treeing Walker Coonhound mix who is available for adoption from Save A Pet Inc in Forsyth, GA.
Sweet Barkley desperately needs a home soon with a lot of room to run. He hates being cooped up when inside the shelter kennel. He loves to run and play and gets along with all the other dogs. He is great with people, including children. Once he gets his energy out he is ready for some cuddles! 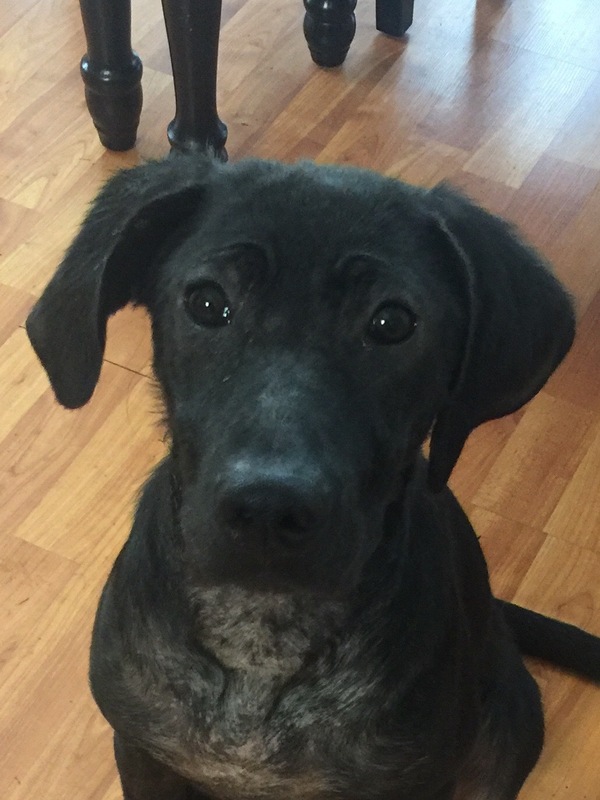 Barkley is just over a year old and weighs about 65 pounds. He is a Treeing Walker Coonhound. 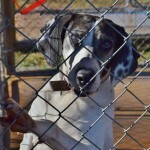 Walker hounds are known to be gentle, calm, friendly dogs who make great house pets. With some training and consistency, we know Barkley can be just that! 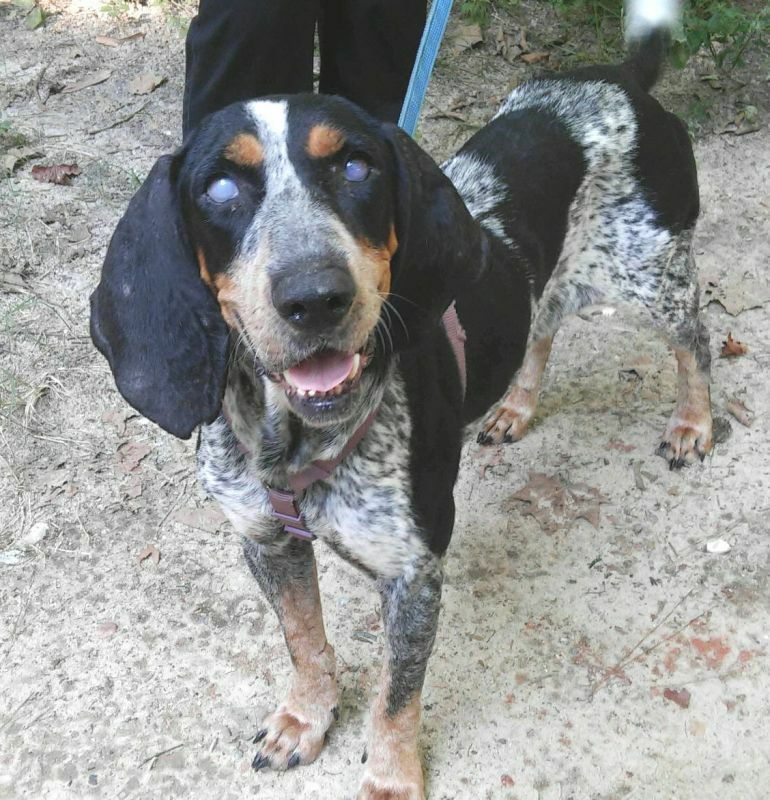 Alice is an adult female Bluetick Coonhound who is available for adoption from Georgia Canine Rescue and Rehabilitation in Cochran, GA.
Alice gets along with other dogs, is crate and leash trained. She is very sweet, loves everyone.